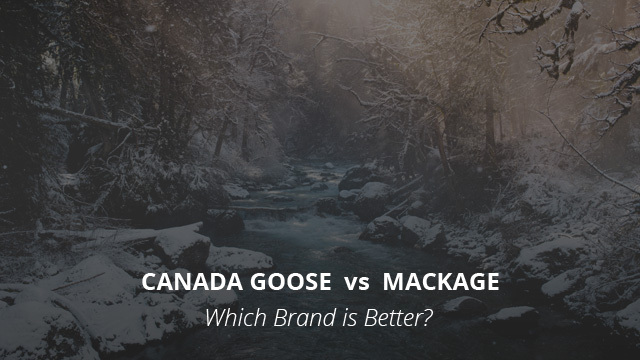 Canada Goose vs Mackage: Which Brand is Better? Being one of the most sought-after brands and with the reputation it has, Canada Goose continues to make it into our brand comparisons. You can find several other brand comparisons here on our site, and see how Canada Goose compares to other renowned brands of outdoor winter wear. In today’s comparison we will be looking at a brand that was recently featured in the Canadian brands selection. It’s Mackage, another Canadian brand that piqued our interested due to its story and the style of its products. Let’s learn some more about each brand and then take a look at the differences between the two, to ultimately decide which brand would be the best choice for you. A brand with an over 60 year old history, Canada Goose is the top choice of many people, celebrities and non-celebrities alike, when it comes to down jackets. Renowned for the high quality of their products and the great warmth they provide, it’s no wonder why Canada Goose has managed to continue being a top brand for more than half a century. Its history begins in 1957 in Toronto, Canada, where it was originally named Metro Sportswear Ltd. The name of Canada Goose came after the brand launched its products to the European market. If you live in North America, especially in areas where winters are particularly harsh, odds are you have come across a Canada Goose jacket or parka. Their product range of nowadays includes many different products, not solely limited to down and rain vests. You can find several accessories and other winter wear in their collections, which are made of high quality and, of course, come at a price. If there is one thing that Canada Goose pride themselves in is the meticulous manufacturing process and attention to detail. Its products undergo a 13-step process, where every small button and stitching is checked in order to ensure that everything is up to par with the brand’s own standard of quality and performance. It is hard to find flaws in a Canada Goose jacket, whether it be in construction, quality or insulation. The fabrics most commonly used by the brand are Polyester and Nylon as part of their shells and linings in jackets and other garments. Specialized fabric technologies developed by the brand itself are also part of a lot of their products. These technologies are the Feather-Light US and Dura-Force, the role of which is that of improving weather performance and durability. In order to protect the down insulation from moisture and the elements, DWR treatments are also used to minimize the risk of down wetting out, which would render it completely incapable of insulating, due to losing its loft. The down used in their coats and jackets is mainly that of geese, as the name suggests. This down meets not only the highest hygiene standards, but also bears the RDS certification, which ensures the responsible sourcing of down from birds that were humanely treated, not force-fed and are a byproduct of the meat industry. Goose down is typically the best quality down and it provides better loft than that of duck down, thus resulting in better insulation and added warmth. However, high fill power and good quality duck down is also a great insulator. Another design and performance detail in their coats is also the Coyote fur trim, which the brand is slowly moving away from by introducing newer jacket designs that come without fur. For men, we picked the Chilliwack bomber jacket, which is insulated with 625 fill-power white duck down and it comes with an attached hood and removable coyote fur trim. It is a short jacket, with five outer pockets and elasticized sleeve cuffs for better fit and insulation. It comes with a covered main zipper and elasticized lower hem. 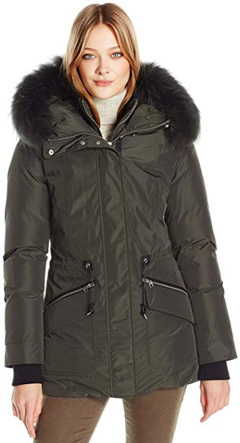 The design for ladies we picked is the Kensington parka, a hip-length winter coat that comes in a multitude of colors. It is insulated with duck down and it comes with a buttoned storm placket and a split hem in the front. The fur trim is removable, but the hood is not. There are several pockets on the outside of this jacket and it has a shell made of a blend of Polyester and Cotton. 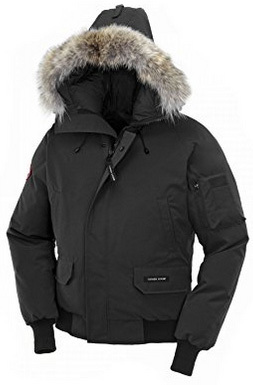 Canada Goose is well-known for its high prices, which some people argue that they are unreasonably high. The average down jacket will cost you anything from $600 to over $1,000, which is out of the price range of a lot of people. In regards to their quality and the warmth they provide, indeed they are worth the price. Here is a piece of ours exploring more in-depth the quality of Canada Goose products and the brand’s rise to fame. Mackage was founded in 1999, with the belief that outerwear are not just an important part of being properly dressed for the outdoors, but also as being an integral element of fashion in one’s wardrobe. Their designs beautifully showcase this, with products that are stylish and very elegant. Their collections are designed with intricate detailing and the mixing of different fabrics and materials is another key element that really sets the brand’s designs apart from your typical outerwear brand. It first started out with women’s outerwear back in 1999 and then later went on to include men’s designs in 2008. The handbag collection is also an essential part of their product collections, which was launched in 2013. Mackage’s popularity is due to a combination of well-made products and modern and chic designs. Mackage is not solely limited to the regular nylon and polyester fabrics. Like Canada Goose, they incorporate different materials, which include leather, wool and, of course, down and fur trims. The furs used are from several different animals, such as raccoon and rabbit fur, which is extremely soft. The sleeve cuffs on most of their jackets are made of wool and the shells and linings are weather-resistant, utilizing specialized fabrics and laminates, as well as being down proof to prevent down from shedding. The duck down used is comprised of whole clusters with a minimum fill-power of 800 and in a ratio of at least 90% down to 10% feathers. The brand also uses Nano Down, which is coated with Texcote™ Nano treatment, that helps increase down’s durability and loft, apart from also making it fast-drying and more resistant to contaminants. For those wondering, the down that Mackage uses is per the RDS standards 100% traceable and responsibly sourced. Their jackets with the highest insulation can withstand temperatures of nearly -31°F (-35°C), which is quite impressive. To keep the comparison fair, we have picked two jackets that are comparable to those chosen from Canada Goose. The Florian bomber jacket for men (check it out on Amazon) is made of 100% Polyester and insulated with 90% 800 fill-power Duck nano down, with a fur lining made of natural raccoon fur. It comes with a covered central zipper and ribbed, elasticized sleeve cuffs. There are three outer pockets on this design and it is available in the color Black. For the women’s selection, the Katryn parka (check it out on Amazon) comes with a 100% Polyester composition and insulated with 90% duck down. It has a removable raccoon fur trim on the attached hood and it comes in a semi-fitted cut, which elegantly and subtly highlights the waist. This is a hip-length parka, with elasticized sleeve cuffs and adjustable waist. When it comes to price, Mackage does not fall behind Canada Goose. A high end brand in both quality and price range, Mackage’s parkas and jackets can cost you upwards of $700 on average. Are these jackets worth it? Going by quality and style, the answer to this question depends. However, when the performance and comfort are factored in, then it somewhat justifies the price tag. With all said and down, which of the brands is the better one? If we are to consider construction quality and overall durability / longevity, then Canada Goose is the winner. While it may be a bit of a turn off to know that you are wearing what mostly everyone else is wearing, if you live in areas where the temperatures drop to the point of requiring serious insulation, Canada Goose is your best bet. The only downside is the lack of variety when it comes to design styles. 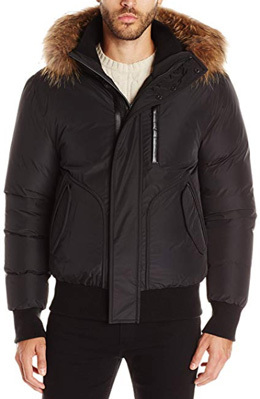 Mackage, on the other hand, while it does make some great jackets insulation-wise, is more renowned for the style of the jackets and parkas, which are some of the best on the market. For this reason, if you are looking to purchase a winter jacket that performs well, but the main focus of which is looking fashionable, then a Mackage jacket would be the better choice. Previous Article← The North Face Fake vs Real Jacket: How To Spot It?